This beautiful gift-wrapped bouquet will be a delight for any one who loves to arrange cut flower stems in a vase of their choice at home. 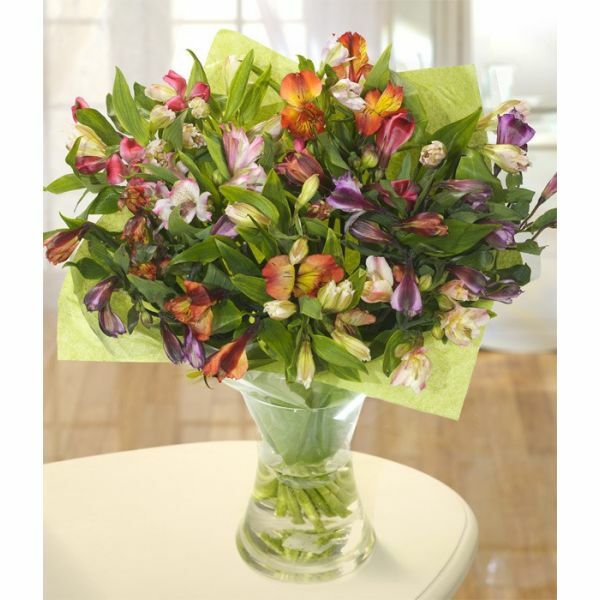 A long lasting bouquet of mixed colours of Alstroemeria. This is a great long lasting flower and some people have found it to last up to 3 weeks in the right conditions.